The MAX - I 1911 style pistol is tight, accurate, and has a nice trigger pull. The 4140 steel frame and hammer forged steel slide have an excellent fit and finish. It has a Mil-Spec front and rear sights, grip and thumb safety, and custom hardwood with MAC logo grips. 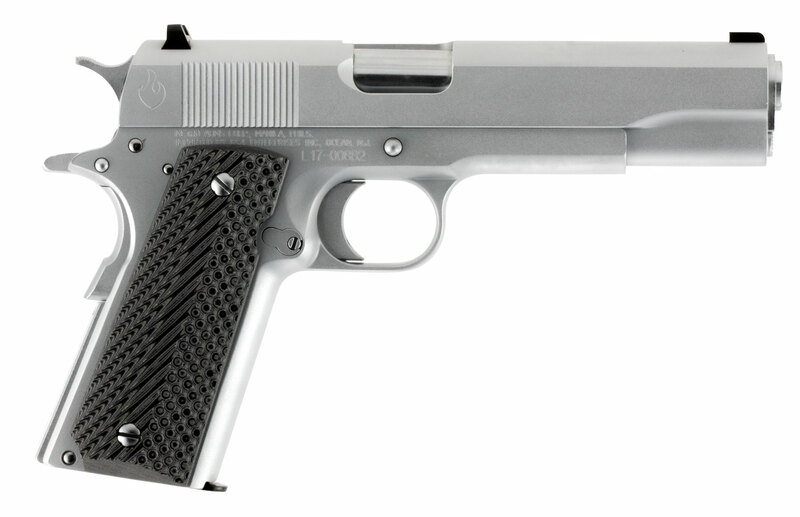 This model features hard chrome metal finish and is chambered in 38 Super.